Length: 7 hrs. 57 min. 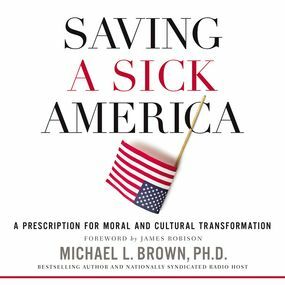 Nationally syndicated radio host and columnist Michael L. Brown provides a handbook for a biblically-based moral and cultural renaissance, revealing that the key to recapturing America’s greatness consists in returning to our spiritual and moral roots. America is at a tipping point, and never has this has been more apparent than right now. We are in danger of losing our spiritual and moral heritage, making many believe that we have fallen beyond the point of recovery. This book is here to say, that, yes, we have fallen. In fact, fallen much further than we realize, but that our country’s best days are ahead—with the help of a radical, moral, and cultural revolution, beginning with the church. This book is a manual for the revolution. On all fronts, Americans are talking about the need for revolution, arguing from the left and the right that “the status quo must go!” This book comes at just the right time, as people are wondering what in the world has happened to our country—from the homes to the college campuses, from the inner cities to the White House, from our national debt to the material found on our computers and TV screens. In clear, compelling prose, Brown covers topics ranging from the sexualization of pop culture to the dumbing down of our schools to the undermining of family structures to a pervasive culture of entitlement, while pointing consistently to the Bible’s solution to these issues. A radical call for reformation written with sobriety and hope, Saving a Sick America provides the inspiration and guidance necessary for a moral and cultural revolution.